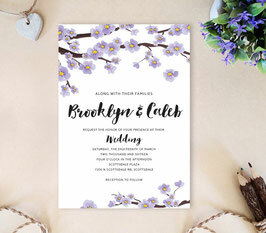 Officially announce your wedding day with our Tree Wedding Invitations. 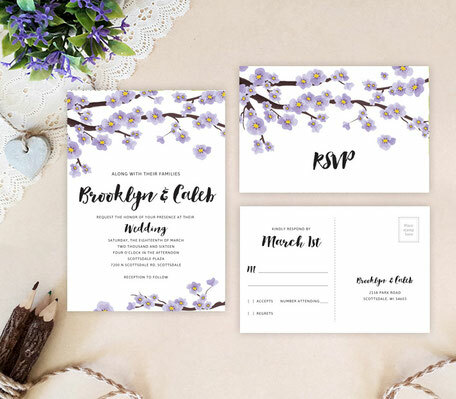 Decorated with watercolor flowers blooming on a tree, our nature-inspired invites are the perfect complement to a springtime wedding. Printed on premium cardstock, our invites will showcase your wedding info with a casual style font against a crisp white background.